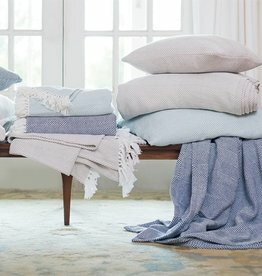 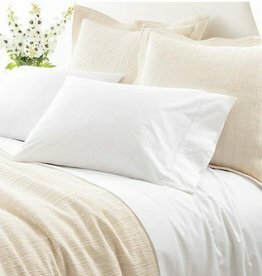 Belmont's clean, crisp, spa-inspired color palette creates a relaxing and restful ambiance for any bedroom. 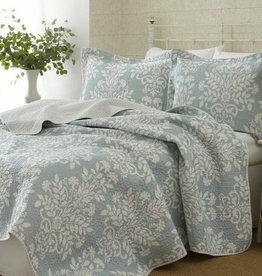 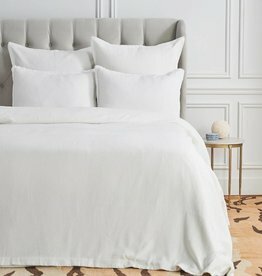 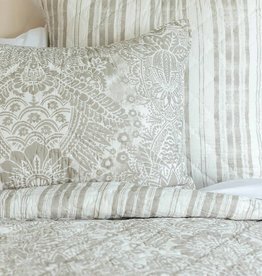 Four piece queen set includes comforter, bedskirt and (2) standard pillow shams. 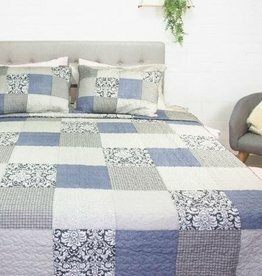 Measurements: oversized super queen comforter 92" X 96", queen bedskirt 60" X 80" + 18", standard pillow sham 21" X 27".Comforter: face: 100% polyester, back: 100% cotton, filling: 100% polyester; bedskirt: skirt: 55% cotton/45% polyester, decking: 100% polyester; king pillow sham: 55% cotton/45% polyester. 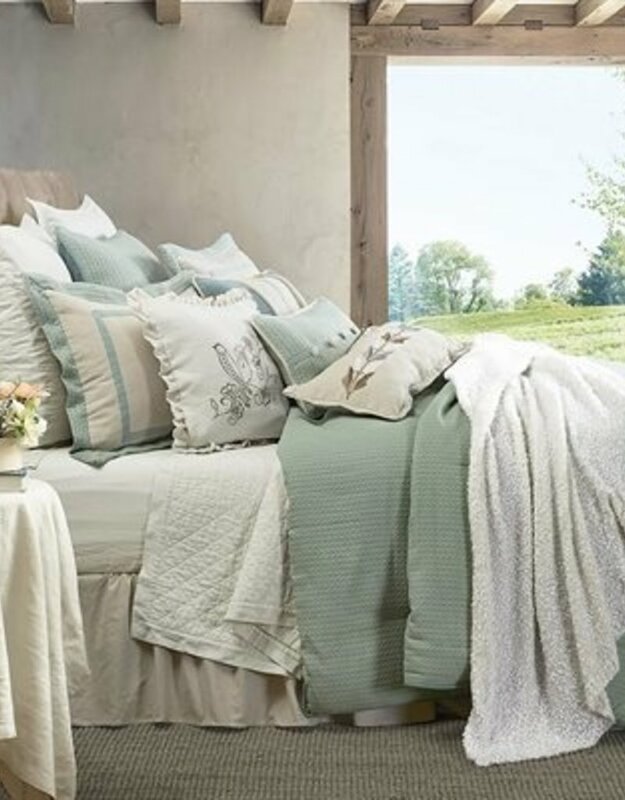 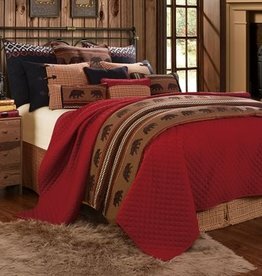 The warm colors and nature-themed pattern in the Bayfield coverlet set transforms your décor to give it a rustic feel.